VISIT NYC Fall 2018 Semester – Plan Now! ACC students are eligible to become members of our local chapter, and join the national Collegiate DECA organization through active participation. For more information, contact our student leaders, faculty advisor, or any member. This is a two-year course of study that will provide detailed knowledge and skills in the various functions of marketing and marketing management. 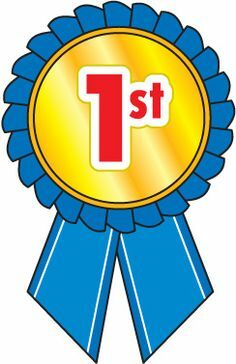 This certificate award plan is designed to meet the needs of the individuals in the community who desire skills and knowledge in marketing. Students are encouraged to download and retain this Marketing Program Map. Students can use this fillable PDF form to track their progress by checking off completed courses, by adding course notes when discussing with an academic advisor or when planning their class schedules. 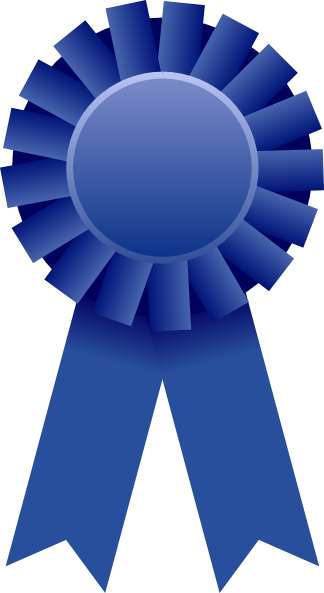 This Occupational Skills Award is designed to give students short-term workforce training. Students are encouraged to download and retain this Retail Management in Marketing Program Map. This is a two-year course of study that will provide students with an understanding of how the fashion industry operates. It prepares them for a career in buying and selling, entry-level management, display and sales promotion activities. This certificate award plan is designed to meet the needs of individuals in the community who desire skills and knowledge in fashion marketing. Students are encouraged to download and retain this Fashion Marketing Program Map. Students can use this fillable PDF form to track their progress by checking off completed courses, by adding course notes when discussing with an academic advisor or when planning their class schedules. 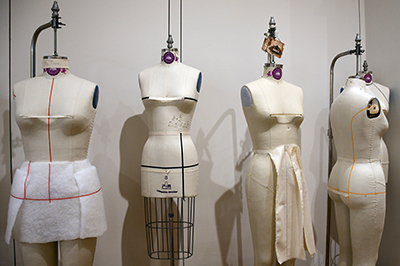 The Fashion Design program will prepare students for careers in the fashion design field. Example positions available in Fashion Design include fashion designer, textiles, retail sales, buyer, tailor, stylist, apparel, costume designer and accessories designer. Students are encouraged to download and retain this Fashion Design Program Map. Studying Marketing or Fashion Marketing can be rewarding and open doors to many different career options. The Marketing Department is accredited by the Accreditation Council for Business Schools and Programs (ACBSP). #25 of 258 Marketing Community Colleges in the U.S.
A study of three-dimensional fashion design conceptualizing by draping in muslin or fashion fabric directly on the dress form. Skill development in observing grain of fabric, identifying drapable fabrics and creating designs suitable for draping. Presentation of major fashion designers and draping techniques. Fundamentals of mass production of apparel, focusing on the operation of industrial sewing and pressing equipment. Survey of materials selection and construction techniques used at all price levels of mass produced apparel. Introduction to industry seam allowances. Identification of differences between ready-to-wear and couture construction. Fundamentals of quick sketching to communicate design ideas. Instruction in drawing the male and female fashion figure. Emphasis on simple methods for making quick sketches to illustrate style information. Author(s): Stephen B. Castleberry, John F. Tanner Jr.
An experience external to the college for an advanced student in a specialized field involving a written agreement between the educational institution and a business or industry. Mentored and supervised by a workplace employee, the student achieves objectives that are developed and documented by the college and that are directly related to specific occupational outcomes. This may be a paid or unpaid experience. This course may be repeated if topics and learning outcomes vary. An advanced managerial approach to advertising program and campaign development for both profit and non-profit organizations. Emphasis on developing an advertising strategy as a component of the total market mix. A study of how marketing meets consumer needs. Covers consumer behavior as it affects marketing. Topics include needs, motivations, perceptions, and attitudes of consumers, and the influence of social class, culture and subculture on consumer behavior and behavior research are discussed in depth. Course addresses strategies for creating customer values and trends in customer behavior. Case studies are used extensively. Introduction to the advertising principles, practices, and multi-media of persuasive communication including buyer behavior, budgeting, and regulatory constraints. Designed to enhance student understanding of the marketing, environment and the dynamic interrelationships of the functions of marketing price, channels of distribution, promotion, and product responsibility. Provides a simulated marketing environment for experience in marketing decision-making and provides practical experiences in analyzing market cases for the students. Overview of the selling process. Identification of the elements of the communication process between buyers and sellers and examination of the legal and ethical issues of organizations which affect salespeople. Explore electronic tools utilized in marketing; focus on marketing communications in developing customer relationships. Explore the social media driven marketing environment and focus on the internet and other technologies that have a profound effect on marketing today. Topics address recently identified current events, skills, knowledge, and/or attitudes and behaviors pertinent to the technology or occupation and relevant to the professional development of the student. Learning outcomes/objectives are determined by local occupational need and business and industry trends. Topics may vary. Collegiate Leadership Academy – This course is designed for Fashion Marketing students to participate in the annual Collegiate Leadership Academy in New York City. Students will gain experience in the industry of their choice in fashion marketing, retail, sport and entertainment, international business and finance, or hospitality and culinary arts. The class will meet both in Austin and New York City. The student is required to pay for the cost of the trip plus tuition. Exploration of theories, techniques, and processes of public relations including means of influencing methods of building good will, analysis of media, obtaining publicity, and implementation of public relations programs. An experience external to the college for an advanced student in a specialized field involving a written agreement between the educational institution and a business or industry. Mentored and supervised by a workplace employee, the student achieves objectives that are developed and documented by the college and that are directly related to a specific occupational outcome. This may be a paid or unpaid experience. This course may be repeated if topics and learning outcomes vary. Skill development in the creation of showroom or retail store window/interior displays that sell merchandise. Study of the basic techniques of store planning, mannequin dressing, alternate form design, and display space conceptualization and implementation. Instruction in the techniques used to analyze the fashion image of individual clients. Emphasis on personal coloring, seasonal color harmonies, appropriate fabric textures, body proportion and silhouette, figure, facial and hair analysis, and wardrobe coordination. Study of fashion image consultant business practices and job qualifications. Fundamentals of fashion buying with instruction in planning, pricing, and purchasing retail fashion inventories. Identification of wholesale merchandise and media resources. A survey of fashion direction, publicity, and fashion event coordination. Emphasis on fashion show production from idea to runway including theme development, stage/set design, choreography, music coordination, lighting, line-up, model fittings, rehearsal, and press kit development. Practical general training and experiences in the workplace. The college with the employer develops and documents an individualized plan for the student. The plan relates the workplace training and experiences to the student’s general and technical course of study. The guided external experiences may be paid or unpaid. This course may be repeated if topics and learning outcomes vary. A general study of textiles with emphasis on factors that affect the hand, appearance, and performance in clothing use. Examination of the properties of natural and man-made fibers, how yarn is formed, methods of production, and the properties of a variety of fabrics. Application of textiles used in the apparel industry. Survey of the evolution of fashion change, traced through garment development from ancient times to present day. A study of customs and silhouettes of each historical period and their modern day adaptations. A study of the effects of eastern and western cultures on the development of fashion. Examination of the relationship of social, psychological, economic, demographic, and lifestyle trends to fashion trends. Survey of the world of fashion businesses. Introduction to the creation and merchandising of fashion through the study of fashion vocabulary, the fashion process, fashion publications, and career opportunities. Fundamentals of advertising including marketing theory and strategy, copy writing, design and selection of media. Principles of personal salesmanship including methods and tasks applicable to a wide variety of industries and commercial settings. A detailed study of the organizational structure of retail buying, the internal and external sources of buying information, the fundamentals of effective purchasing, and the buyer’s role in planning. Thank You for Your Interest in Marketing. Thank You for Your Interest in Retail Management Certificate. Business and Professional Communication is the study and application of communication within the business and professional context. This course explores oral communication competences in dyads, interviews, groups/teams, and presentations. Special emphasis is given to using technologically mediated formats in the workplace. Business and Professional Communication Honors – This Business and Professional Communication honors course focuses on developing students’ leadership knowledge and abilities as related to communication. Students planning to enter leadership positions will learn how to communicate as leaders. Students research leadership concepts and take on leadership roles within the class, which include leading discussions and collaborating in exam creation. The overall focus of the course is to develop the student’s communication competencies in leadership roles. Contact the Honors Program at 512-223-6555 or honors@austincc.edu for additional information. Computer terminology, hardware, software, operating systems, and information systems relating to the business environment will be covered. The course will also explore business applications of software, including spreadsheets, databases, presentation graphics, word processing and business-oriented utilization of the Internet. Introduction to the retailing environment and its relationship to consumer demographics, trends, and traditional/nontraditional retailing markets. 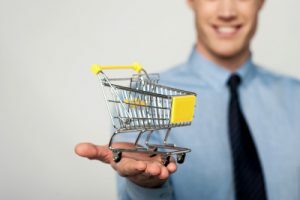 The employment of retailing techniques and the factors that influence modern retailing. Introduction to basic marketing functions; identification of consumer and organizational needs; explanation of economic, psychological, sociological, and global issues; and description and analysis of the importance of marketing research.